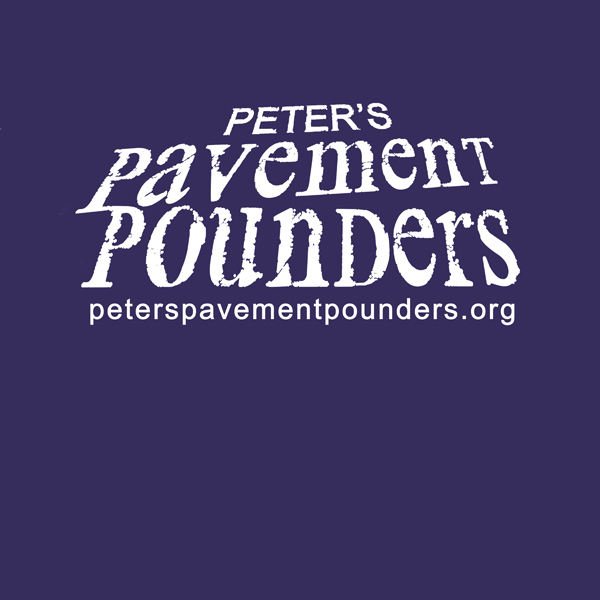 I finally finished the design for our Peter's Pavement Pounders t-shirt! 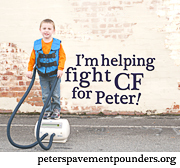 So, if you want a t-shirt for your Great Strides walk or if you want one to support Peter and his fight against CF, please contact me and let me know what size shirt(s) you want by this Saturday! Please also include your phone number, your team city (if you are walking in Great Strides) and your address (if I will need to ship your shirt to you). 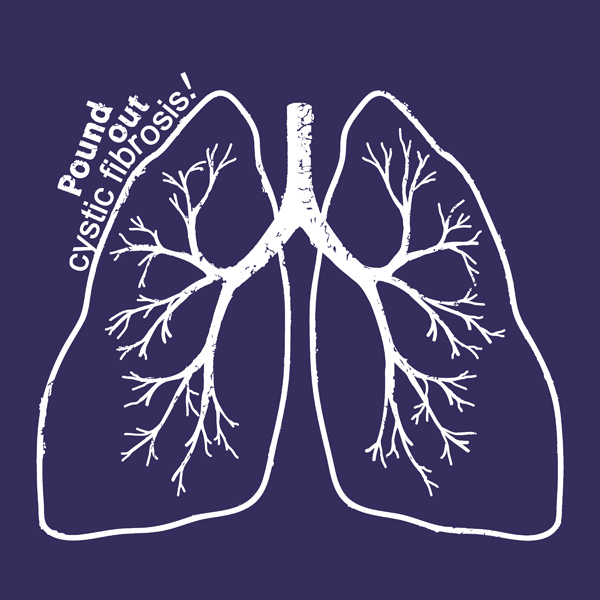 The design will be printed on a purple* Gildan 8000 T-shirt (50% cotton 50% polyester). Follow these links to get the size specs for the Adult Shirts or the Youth Shirts. Each shirt will be about $7.00 each plus shipping (youth will run $1.00 more and XXL and higher will run more $3.00 to $4.00 more). I will take payment after I have the final price from the printer. 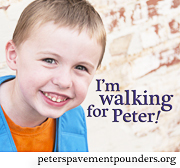 If you are walking in Great Strides, your shirt will be available from your team leader on walk day. (I'll ship them all together so there's a lower shipping cost). 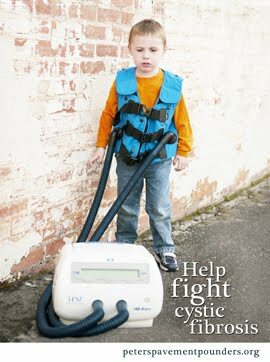 If you aren't walking in Great Strides, but still want a shirt, I'll get it to you via US mail. We plan on wearing these shirts year after year, and I don't plan on printing a shirt next year. So, if you want one (or will want one for the future), now is the time to order. This may be a bit of a stretch financially for families, but it's totally okay just to order a shirts for the adults and then have the kids wear generic purple shirts on walk day. On another note, what do you think of the shirt design? 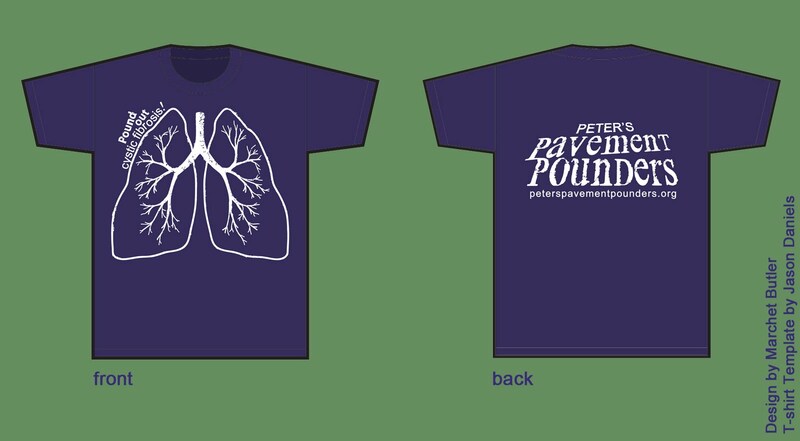 I hope I've made a shirt people wouldn't mind wearing during the year, not just on walk day. I know I'm going to wear mine a lot! *This purple may be slightly different than the actual shirt color. Thanks to my aunt Terry for taking this photo. 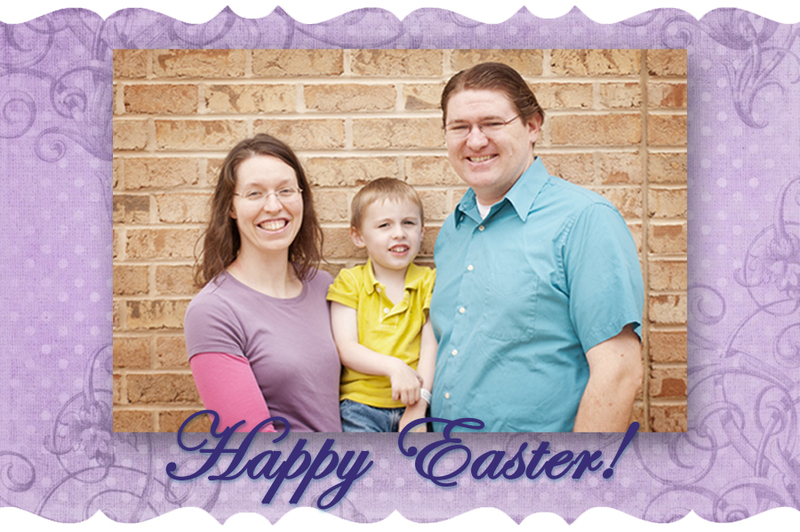 We're enjoying our Easter and getting excited for the walk coming up next month! I've finished the poster image for this year's walk. 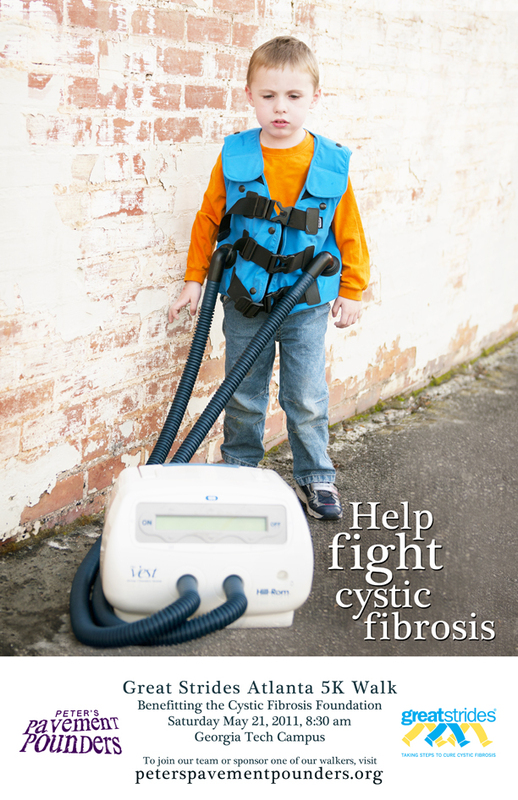 I'm excited to get them ready for my team leaders to print and distribute. But for now, here's a sneak peek of the Atlanta one!